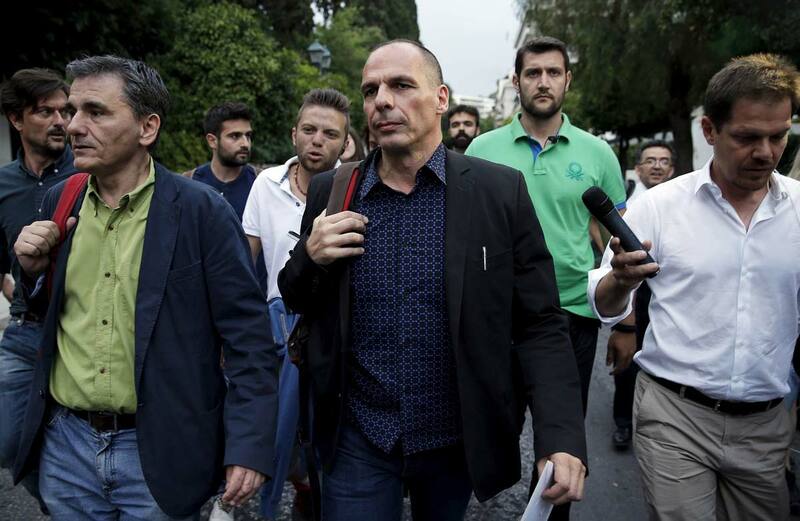 Rebels angered by Greece's international bailout walked out of the leftist Syriza party on Friday, formalising a widely-expected split after leader Alexis Tsipras resigned as prime minister to pave the way for early elections. The new anti-bailout Popular Unity party set up by the far leftists is expected to steal some anti-euro voters away from Tsipras. But it allows Syriza to move closer to the political centre and clears the way for Tsipras to more decisively implement the bailout programme if he is re-elected. The split - which cost Tsipras 25 lawmakers or a sixth of Syriza's parliamentary group - came a day after he abruptly resigned to force early elections in a bid to cement his grip on power and deal with the growing rebellion in the party's ranks. Greece's president gave the conservative opposition a chance to form a new government, but the effort is almost certain to prove unsuccessful and Greeks are expected to return to the polls for the second time this year on Sept. 20. 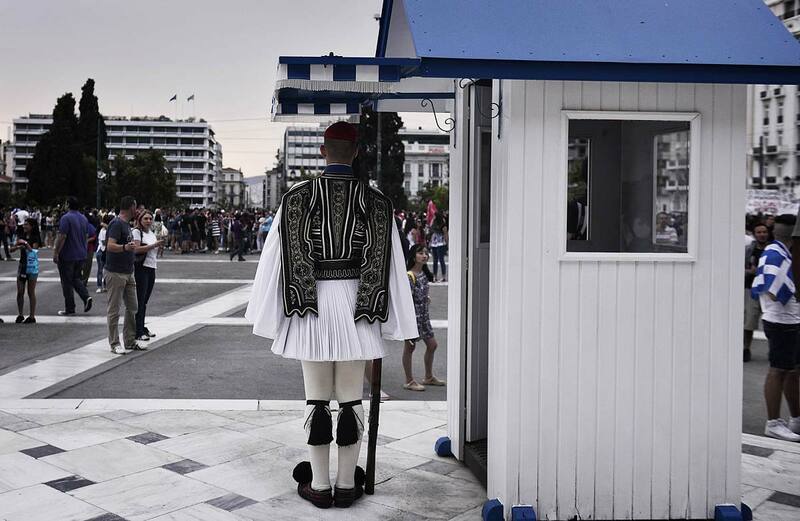 The vote opens a new chapter of political and economic uncertainty for Greece just a day after money began flowing from Greece's third bailout programme, prompting calls from the euro zone that Athens must stick to commitments given under the rescue deal. 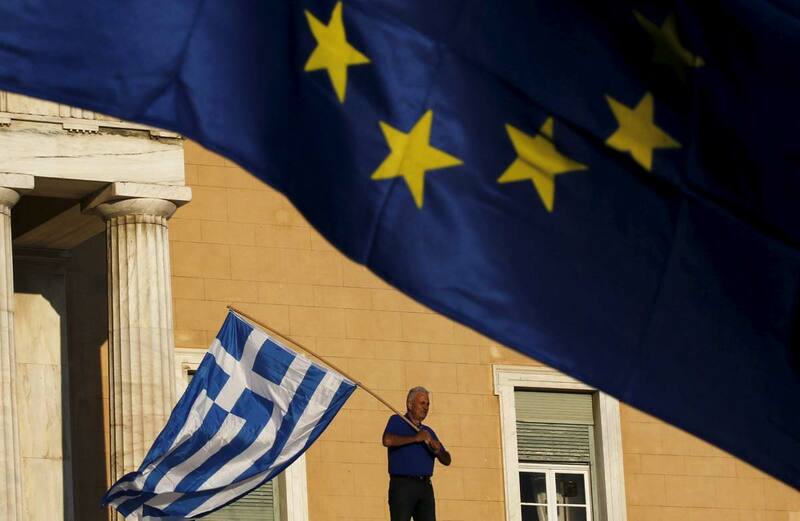 The election could hamper or delay a review planned for October of Greece's progress under its new bailout programme and rekindle concerns about Athens' ability to honour its pledges, Fitch ratings agency warned. Many Greeks weary after months of turmoil that included a three-week shutdown of banks and the imposition of capital controls responded with wariness and anxiety. "It is, of course, wrong. And we citizens will suffer the consequences, because we will go through a period of insecurity," Athens shop owner Konstantinos Poulopoulos told Reuters Television. Former Energy Minister Panagiotis Lafazanis, a former close adviser to Tsipras who was fired last month for refusing to back the government, said his new leftist party would give Greeks who oppose the 86 billion euros ($97 billion) bailout package from euro zone and International Monetary Fund lenders a voice. "The country cannot take more bailouts," Lafazanis told a news conference. 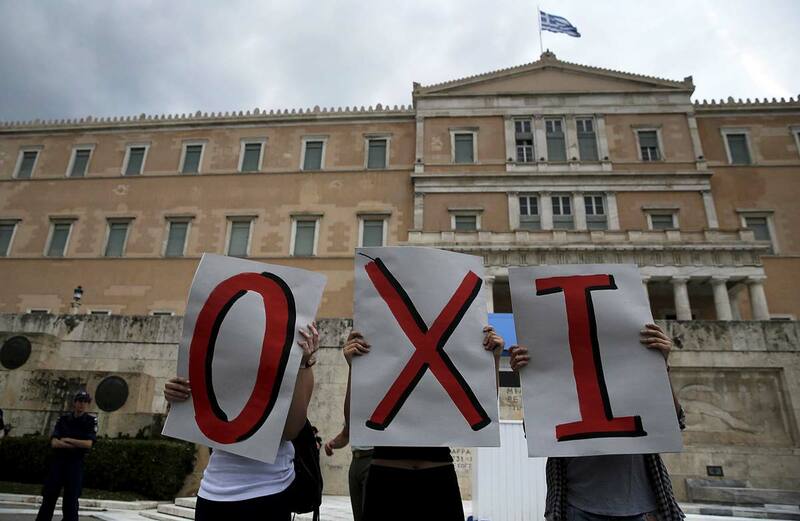 "We will either finish off the bailouts, or the bailouts will finish off Greece and the Greek people." He and other far-left members of Syriza have been defying Tsipras in parliament ever since he performed a U-turn and accepted the bailout package and its austerity measures in order to save the financial system and Greece's future in the euro. With 25 lawmakers, the new leftist party will be the third largest bloc in Greece's 300-seat parliament. That allows it to have a go at forming a government if the conservative opposition fails to cobble together a coalition. 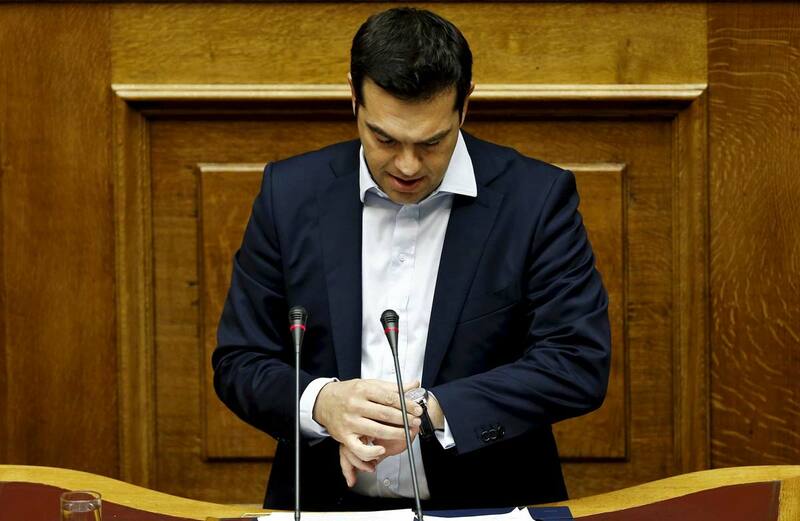 Tsipras had long been expected to seek early an election in the autumn. But he was forced to move quickly after nearly a third of Syriza's lawmakers refused to back the new bailout programme in parliament last week, robbing him of his majority. Some voters were willing to give Tsipras the benefit of the doubt. "He had to do something to ensure that the government is viable," said programmer Christianos Misailidis, but added: "Right now, it is as if there is no government." Financial markets took the uncertainty badly following a big drop on Thursday. Greek shares .ATG fell 2.7 percent while 10-year bond yields GR10YT=TWEB rose sharply. In accordance with the constitution, President Prokopis Pavlopoulos formally invited conservative leader Evangelos Meimarakis on Friday morning to try to form a new government without the need for a new elections. Meimarakis said elections were of "no use" and that he would do his best to avoid them. However, his New Democracy Party has just 76 members of parliament and is almost certain to fail to find enough partners among an opposition that ranges from the KKE communists to the ultra-right Golden Dawn party. Another opposition party leader, Stavros Theodorakis of the centrist To Potami party that could be a coalition partner for Tsipras, said it was best to hold elections immediately since the current parliament maths left no other option. 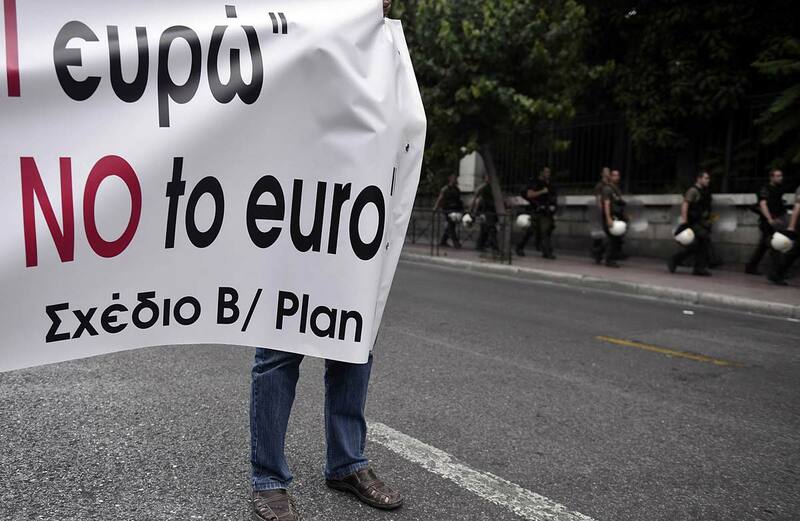 Across the euro zone, politicians warned Greece to stick to its promises. "I hope that they are as quick as possible so that the least possible amount of time is wasted," Eurogroup President Jeroen Dijsselbloem said of the elections. 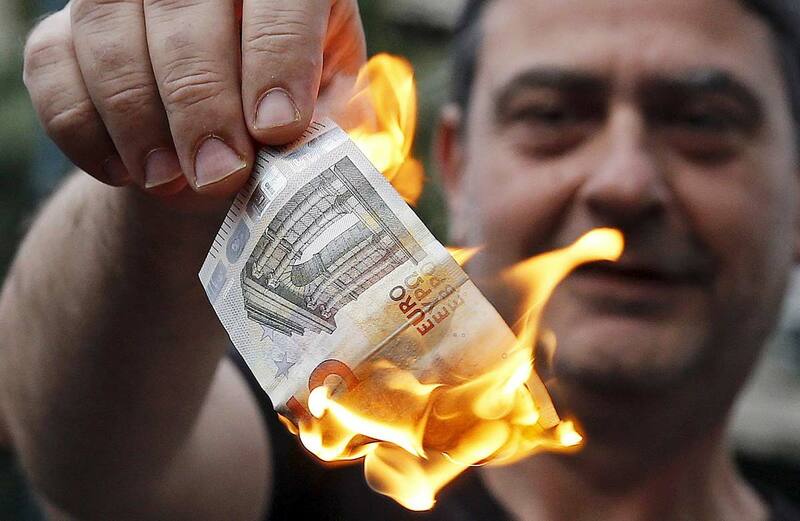 An anti-austerity protester burns a euro note during a demonstration outside the European Union (EU) offices in Athens. 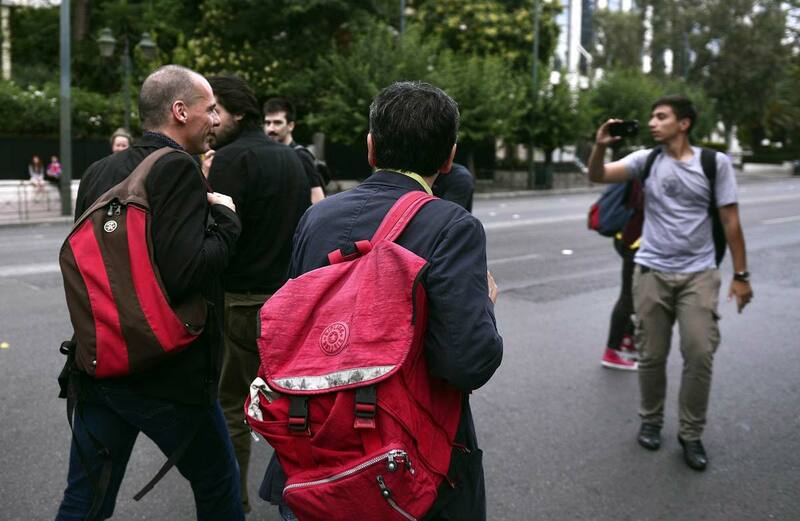 Greek Finance Minister Varoufakis and head negotiator with Greece's lenders Tsakalotos are surrounded by members of the media as they head to Prime Minister Tsipras' office in Athens. 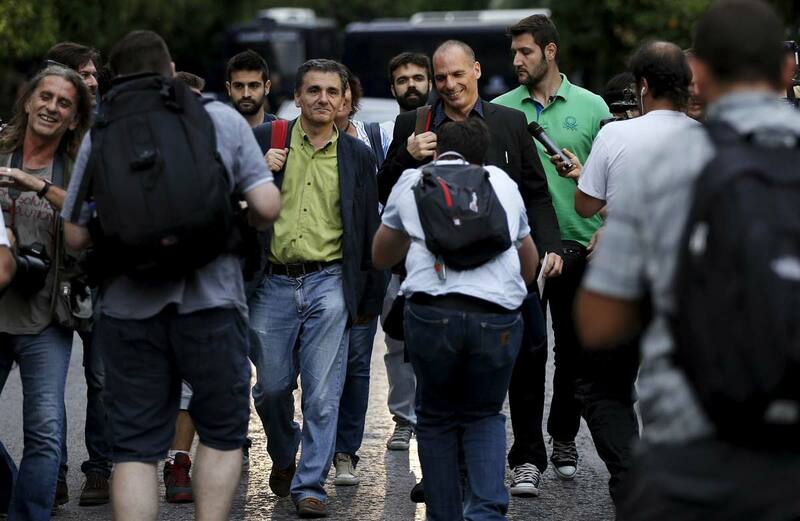 Greek Finance Minister Yanis Varoufakis (C) and head negotiator with Greece's lenders Euclid Tsakalotos (L). 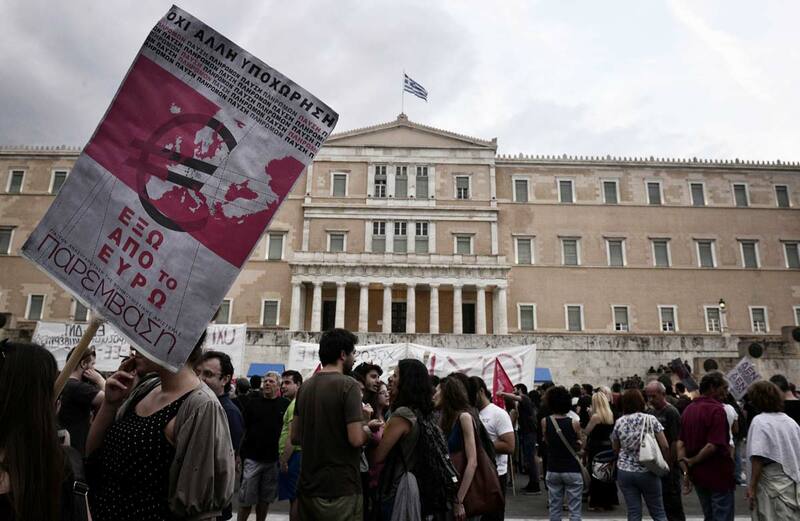 Several hundred anti-austerity protesters, chanting slogans against the European Union and IMF, rallied near parliament in Athens on Sunday as a deepening crisis forced Greece's leftist government to announce capital controls on the banking system. 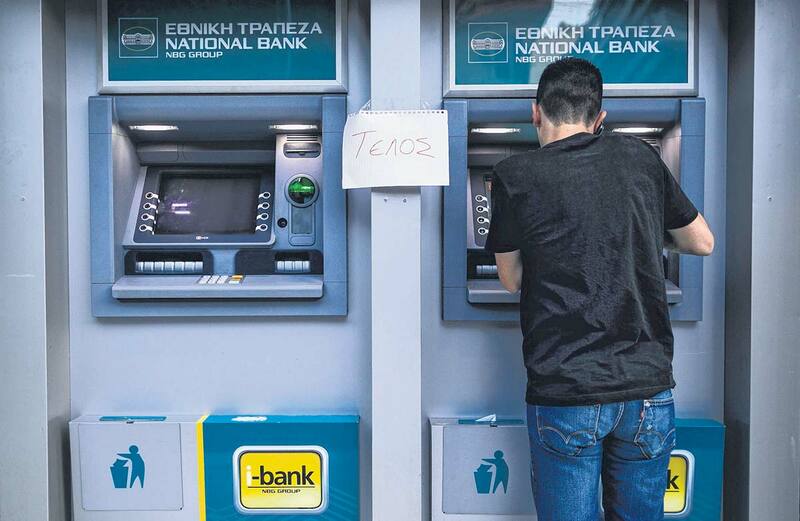 Greece weighed drastic banking restrictions to stave off a financial collapse as anxious Greeks emptied cash machines amid fears that banks will be closed. Greek Prime Minister Alexis Tsipras stunned Europe late Friday with a surprise call for a July 5 referendum on the latest cash-for-reforms package. He also advised voters against backing a deal that he said spelled further "humiliation". By snubbing a bailout deal and slapping capital controls on its banks Greece has set a course into choppy, uncharted waters that could lead to fresh economic upheaval and a euro exit. Varoufakis and the Greek central bank chief met in the afternoon for an emergency session of the "systemic stability council" as the crisis-weary country prepared for the worst. 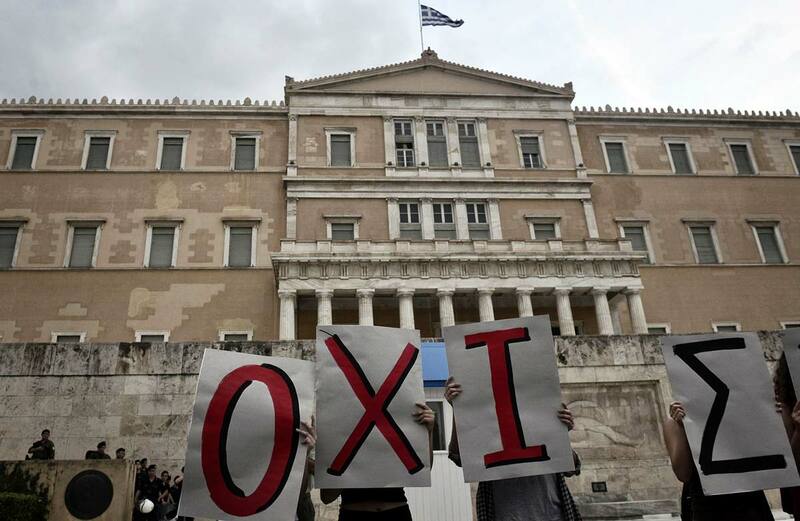 After five months of torturous negotiations and just days away from a default, Greece's radical leftist Prime Minister Alexis Tsipras threw the political equivalent of a curve ball by calling a referendum on the bailout proposals. 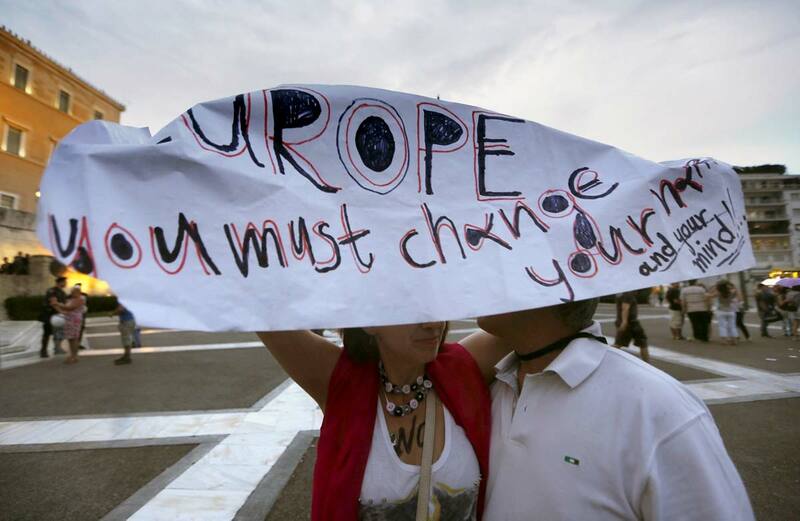 Protesters hold placards forming the word "No" during an anti-EU protest outside the parliament in Athens, Greece. 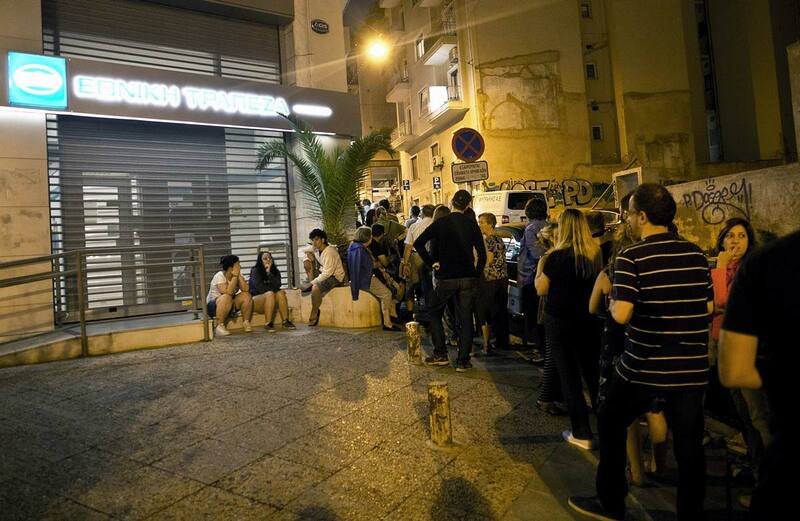 Greek people queue in front of an ATM mache to withdraw cash from a National Bank of Greece in central Athens. 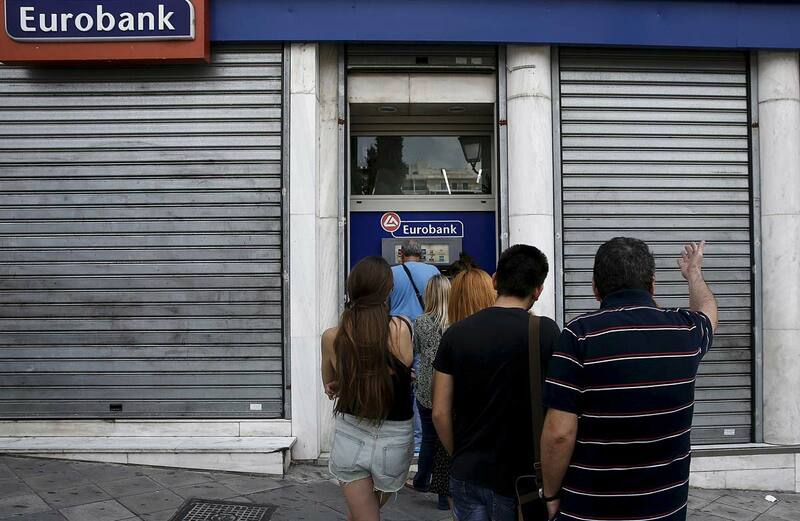 Greece weighed drastic banking restrictions to stave off a financial collapse as anxious Greeks emptied cash machines amid fears that banks will be closed this week. A protester waves a Greek flag at the entrance of the parliament building during a rally calling on the government to clinch a deal with its international creditors and secure Greece's future in the Eurozone.